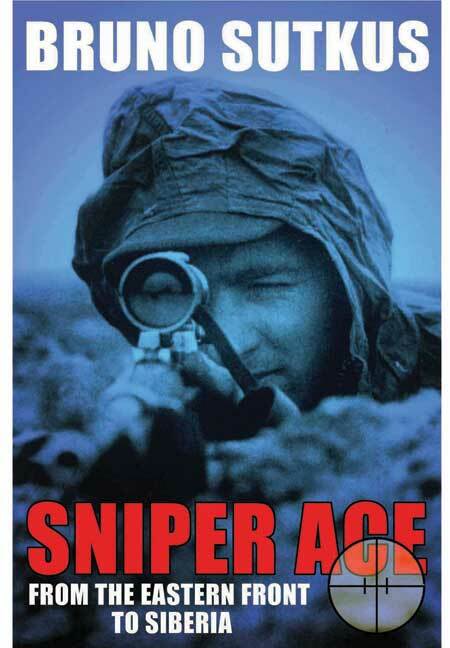 You'll be £19.99 closer to your next £10.00 credit when you purchase Sniper Ace. What's this? Throughout World War II, German snipers were obliged to carry a 'Scharfshützen Buch' which recorded every kill. Each success noted had to be verified by a witness and signed by a superior officer. The journal of Sutkus is one of only a few such books to have survived the war. It records more than 200 kills, placing him as one of the war's most successful snipers. A large part of his journal is reproduced for the first time here. As a Hitler Youth member his skill as a marksman was quickly noted and, in July 1943, aged 19, he was drafted into the Wehrmacht. A month later he was sent on a five month sniper's course in Wilna, after which he was posted to the Eastern Front. He was so successful that his superiors sent him to crucial positions. Despite his age, he was regarded as one of Germany's best snipers and in November 1944 he was awarded the Scharfshützenabzeichen 3 Stufe - the highest award for a sniper. After being wounded in January 1945, Sutkus was given time to recuperate away from the Eastern Front. During this time he met a Red Cross nurse, to whom he gave all his journal. When the war finished, Sutkus was forced to join the Red Army. He deserted to join the Lithuanian resistance fighters. After being captured again he was tortured by the KGB and deported to Siberia to endure forced labour. It was not until the collapse of the Soviet Union that he was able return to Germany and find his journal, still in the hands of the same nurse. The best first-person German sniper account of World War Two I have read, well documented and illustrated, a fascinating story. It's extremely rare to find a first-hand account by one of Germany's most accomplished World War II snipers but rarer yet, this memoir incorporates his actual wartime shooting logbook, documenting 207 kills. Fascinating and tragic, especially the post-war decades he spent in the Soviet gulag. As a sniper myself for many years I have always saught to learn from those who went before me, from all countries. This book provides a unique and facinating indepth look at the day to day life of an operational sniper. For many years the skill and the bravery of the Wehrmacht sniper has gone unrecorded. With this book we see inside his experiences for the first time and it is a read that I would strongly recommend to any current sniper. A truly facinating look at the trials and tribulations of one mans war when the world was at war around him.